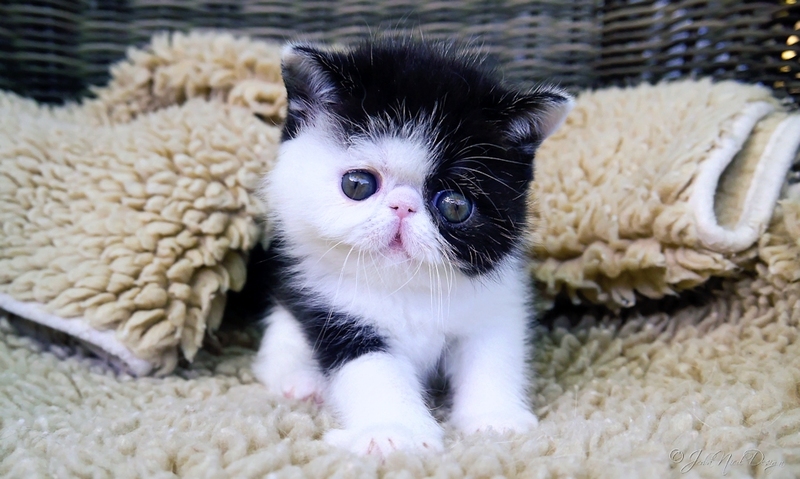 We have some very nice kittens. However, all cat, kitten 2018 photo's and updates will be posted on our facebook page. This year it looks to final pieces fall into place. I am very fortunate, very grateful for everything that has happened to me in the past 32 years of breeding, for everything I've achieved and all the opportunities given. Almost all cats I ever bought or kept are behind my current 2018 kittens. Proud! We have new born babies! We are proud to announce the birth of 11 new born babies. We have 7 boys and 4 girls. More information on our new born page. Dixy BIV, BIS & BOB! 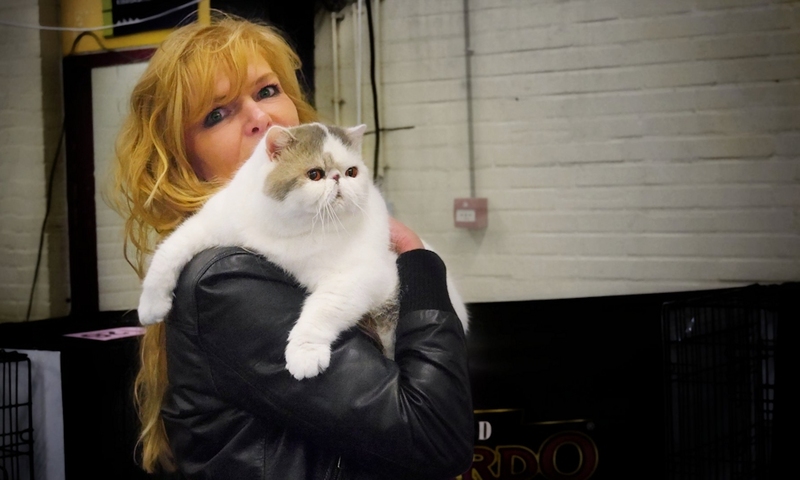 Sunday, January 25th we went for the worldshow with as many as 900 cats (Neocat, Houten, the Netherlands). First show again for our blue tabby-white boy. Dear Arnoldt... this one is for you: "GC/Gr.Int.Ch Pouspardoux Dixy Doudl", “Best in Variety, Best in Show and Best of Best at the worldshow". At the end Dixy went o be 4th best allbreed cat of all 900 cats and kittens present. 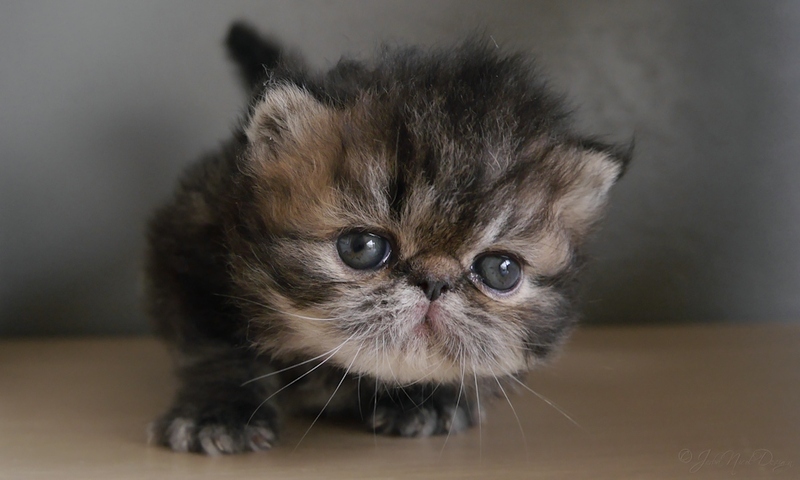 Our latest kittens of the year are born! We are proud to announce the birth of 4 new babies. Daddy again is our wonderfull big boy GC/Int.Ch. Pouspardoux Dixy Doudle. We have 2 boys and 2 girls: Jerba Nicol's Swing Your Daddy (pictured), Jerba Nicol's Shotokan Kata, Jerba Nicol's Snickerdoodles & Jerba Nicol's Samurette. Dixy's first babies are born! We are proud to announce the birth of 3 new babies. 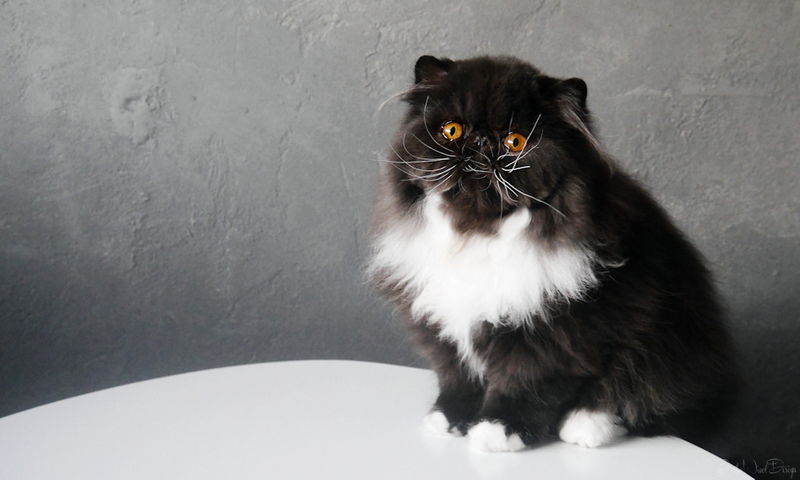 Daddy is Cat of The Year winner GC/Int.Ch. Pouspardoux Dixy Doudle. 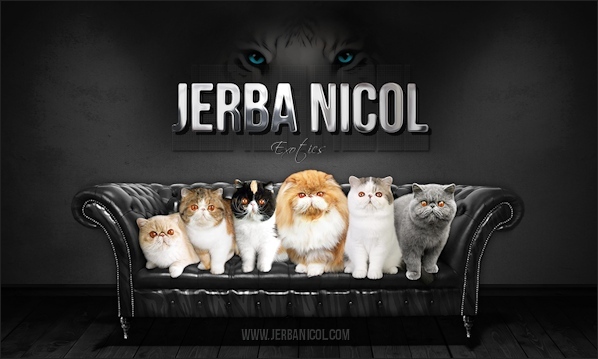 We have a brown patched tabby-white exotic girl named Jerba Nicol's Someone Like You, a blue tabby-white longhair girl named Jerba Nicol's Skyfall- and a brown tabby-white longhair boy named Jerba Nicol's Hey Arnoldt!. 5 exotic babies are born! 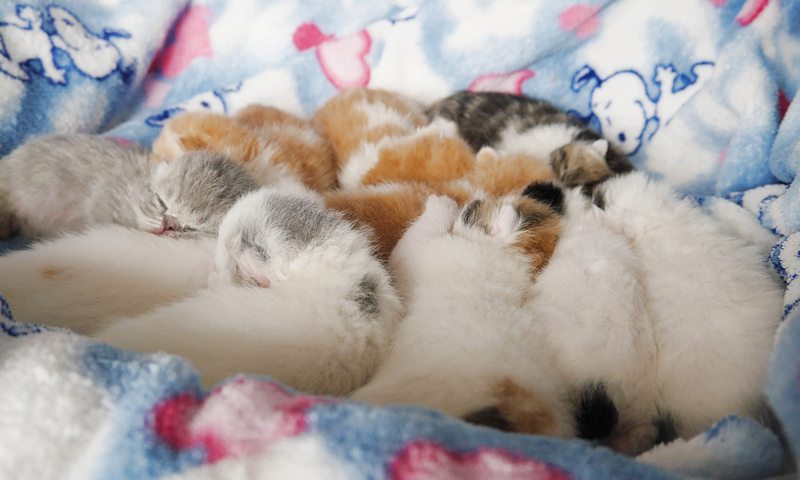 We are proud to announce the birth of 5 cute little exotic babies, 1 black-white boy (Jerba Nicol's Calimero), 1 brown tabby boy (Jerba Nicol's Cappuccino),1 blue eyed white boy (Jerba Nicol's Picasso), 1 copper eyed white boy (Jerba Nicol's Ping Pong) and a copper eyed white girl (Jerba Nicol's Pinkie Pie). We are very proud to welcome GC/IC Pouspardoux Dixy Doudle & Pouspardoux Whoupy of Jerba Nicol to our breeding program. 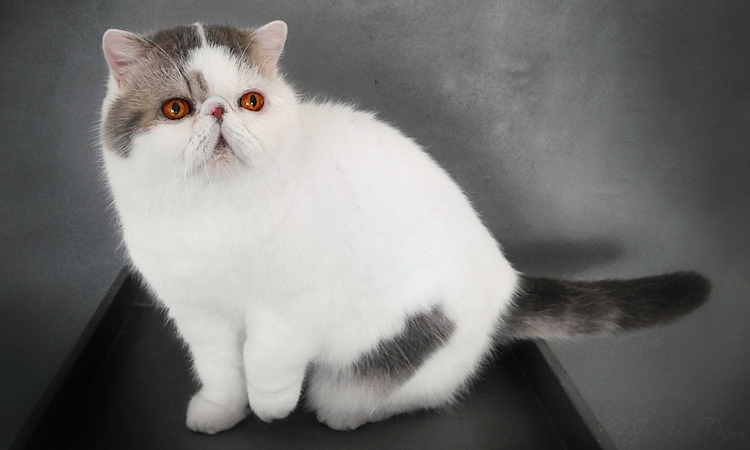 Dixy is 2013/2014 Cat of the Year, 2012/2013 Kitten of the Year and a one show GRAND at the DPC show March 1/2 2014. 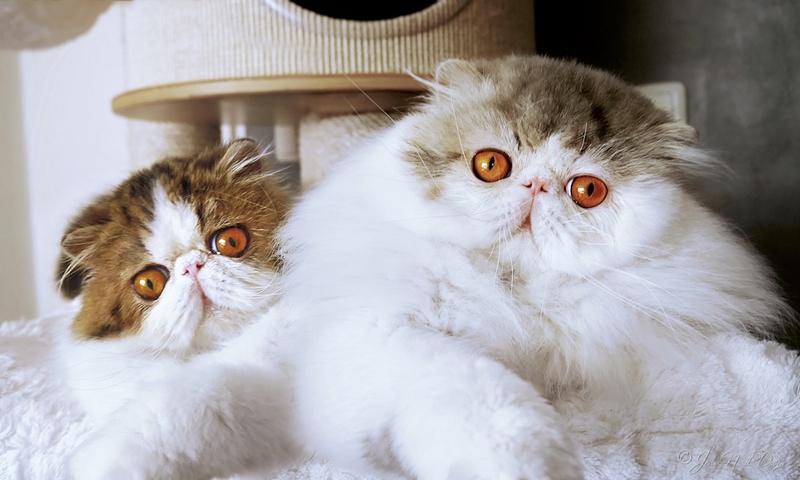 I can never thank their breeder, and my close friend Arnoldt, enough for sharing these two stunning cats with me! We have a NEW GRAND! We are proud to announce we have a brand new GRAND. 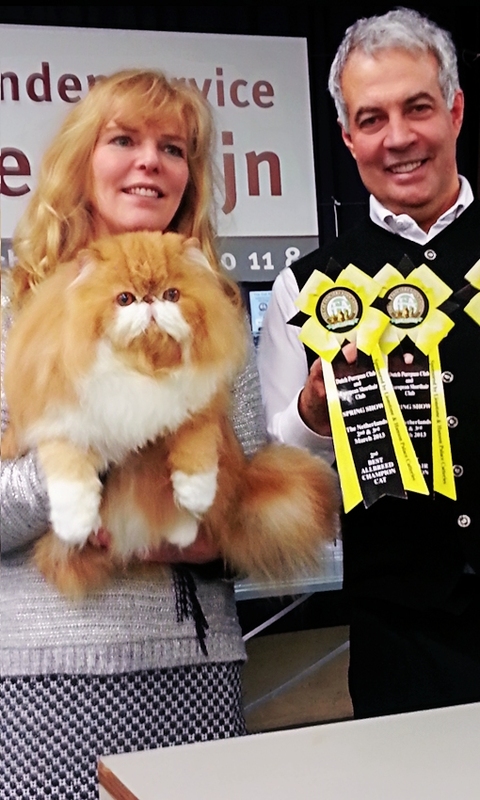 "GP Jerba Nicol's Killer-Kobra", granded in fine style making ALL 8 All Breed Premiorship Finals at the Feline Fanciers of Benelux's Valentine's Show in Berlare, Belgium Feb 15 & 16 2014. Kobra already got 125 Grand CH points in championship class and finaled being BEST cat as an open at his first show in Wijchen Nov 2007. Now at over 7 years I thought he deserved to finish his Grand Championship as a Premior. We are so proud of him! 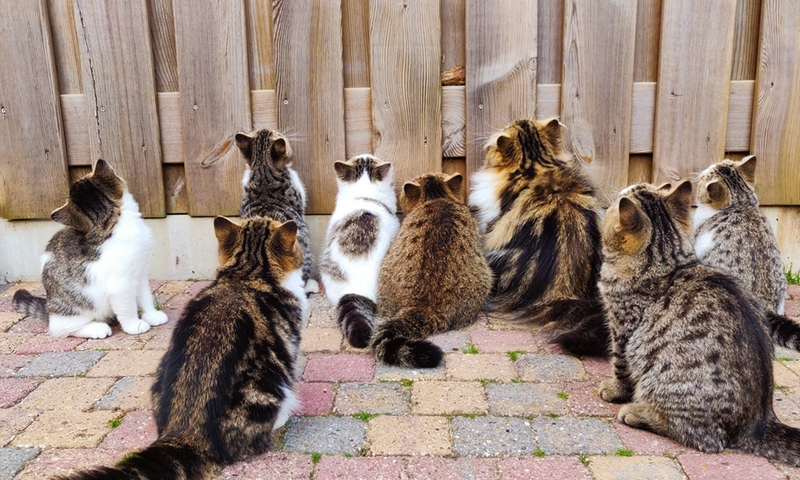 Thank you team of the Feline Fanciers of Benelux for a nice show. Thank you Jody Garrison, Wayne Trevathan, Wain Harding, Becky Orlando, Diana Rothermel, Pam Delabar, Guy Pantigny & Olga Grebneva for using my boy into your finals! Jerba Nicol is wishing you all a very Merry Christmas and a Healthy, Happy & Succesfull New Year! I think we can be quite happy with what we have achieved at the CFA show. Our neuter CH/PR Jerba Nicol's Killer-Kobra has 54 Grand points now, our kitten Jerba Nicol's Armada finaled in Pam DeLaBar's ring- and our 8 months old girl CH Soulstone's Candy-C of Jerba Nicol got her first 58 Grand points in open class. 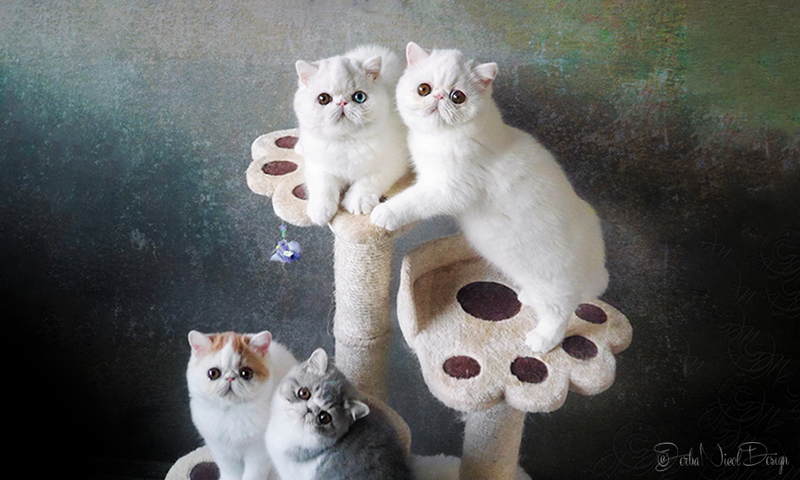 Thank you team of the Dutch Purrpuss Club for a nice show and thank you judges for using my cats into your finals! Billie & Bamboleo are mom and dad! We are happy to welcome our latest litter of this year. 4 little babies are born, 2 ESH boys (Jerba Nicol's Bull Shark & Jerba Nicol's Bokito), 1 ELH boy (Jerba Ncol's Black Mamba) and a shorthair girl, (Jerba Nicol's Bird-of-Paradise) and both cats are first time parents! Sire: " Maradan Bamboleo of Jerba Nicol". 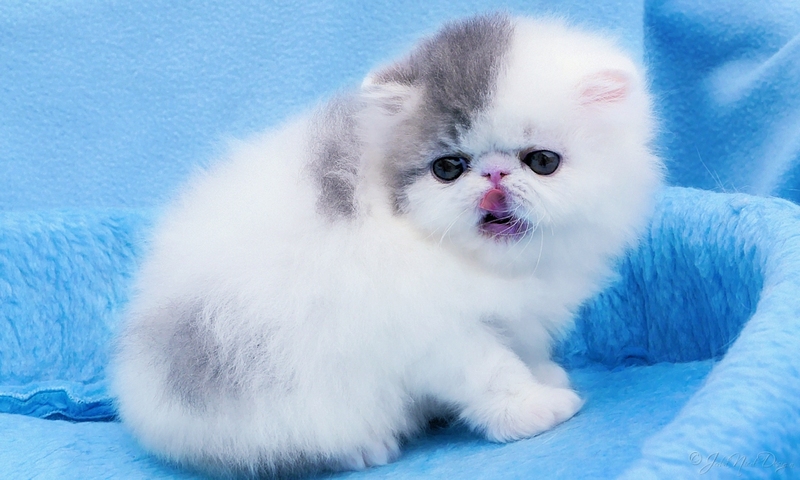 Dam: "CH Jerba Nicol's Billie Jean". 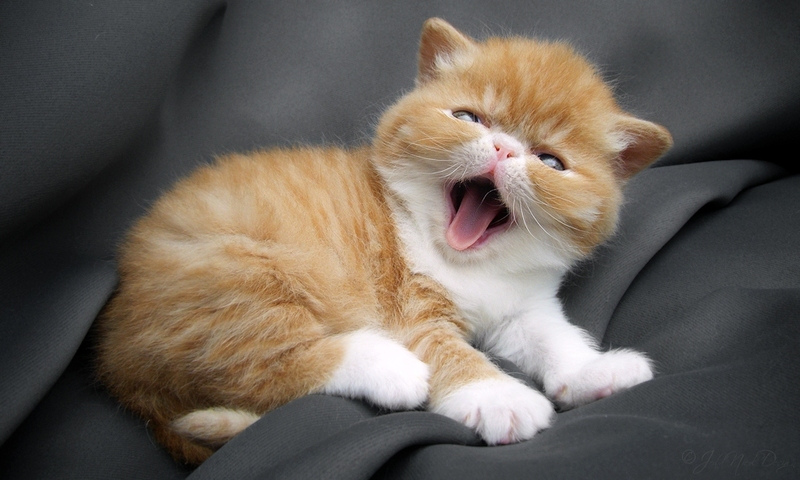 Exotic baby born out of Diva & Ginger! 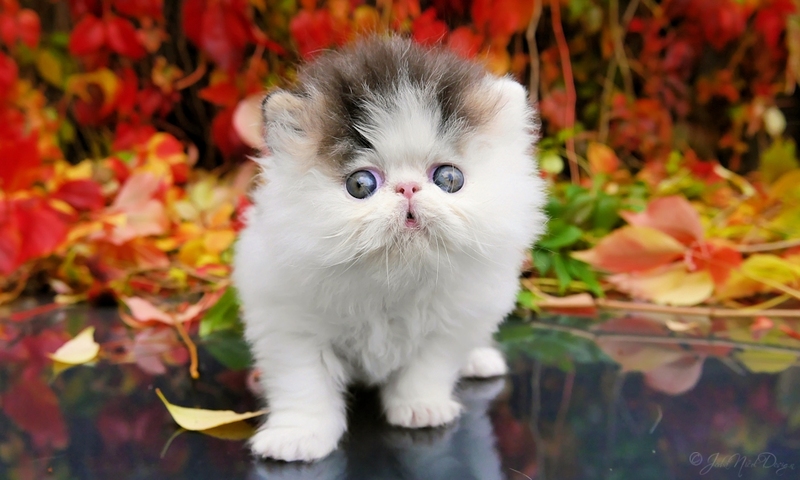 We are proud to announce the birth of a cute little red tabby-white exotic boy, named "Jerba Nicol's C is for Cookie"! 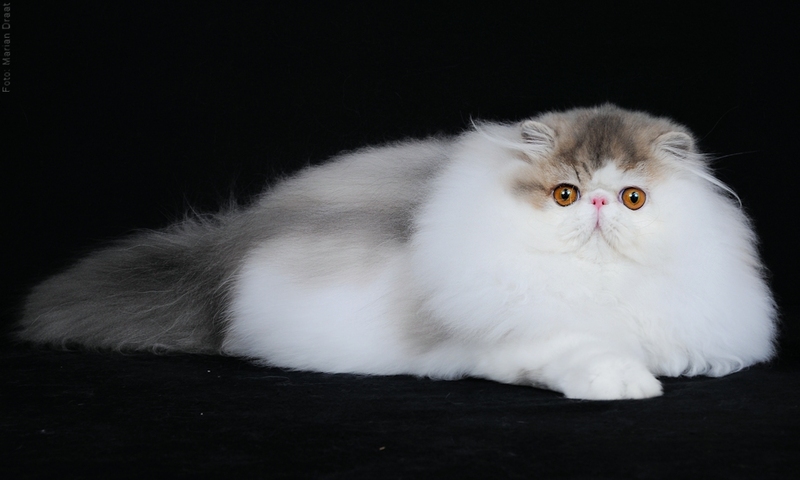 Parents are: "Du Marais Ginger of Jerba Nicol" and "Jerba Nicol's Viva La Diva". We have a new female! 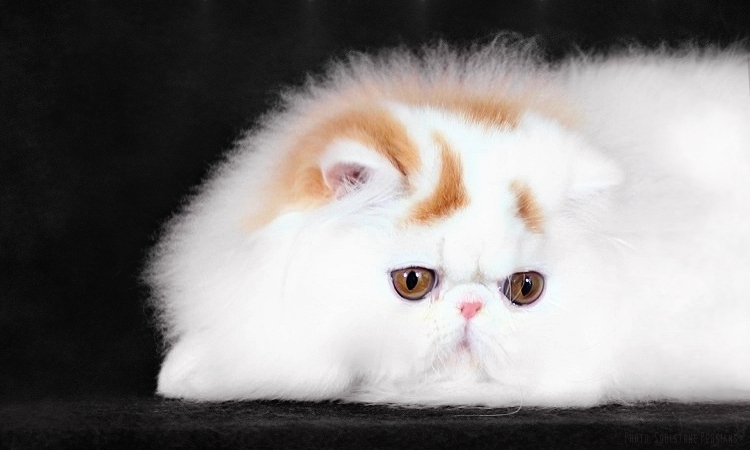 We are proud to welcome CH Soulstone's Candy-C of Jerba Nicol to our show and breeding program. 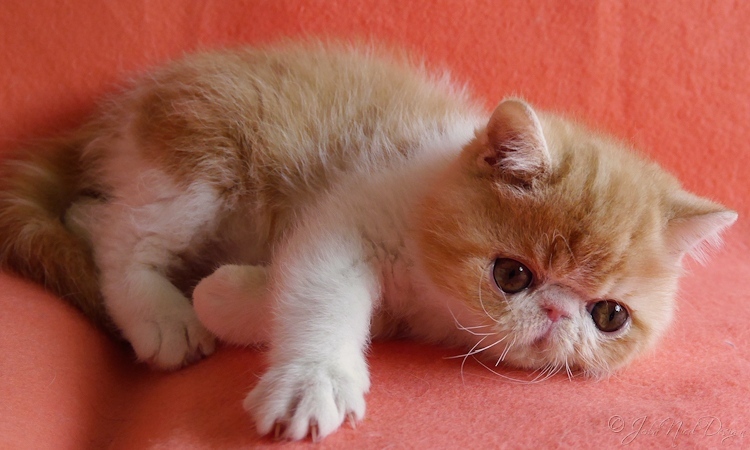 Candy is a pure persian girl coming from Germany. Thank you dear Michael, we had a great time together and Candy is a true prinses! More photo's can be seen on our females page. 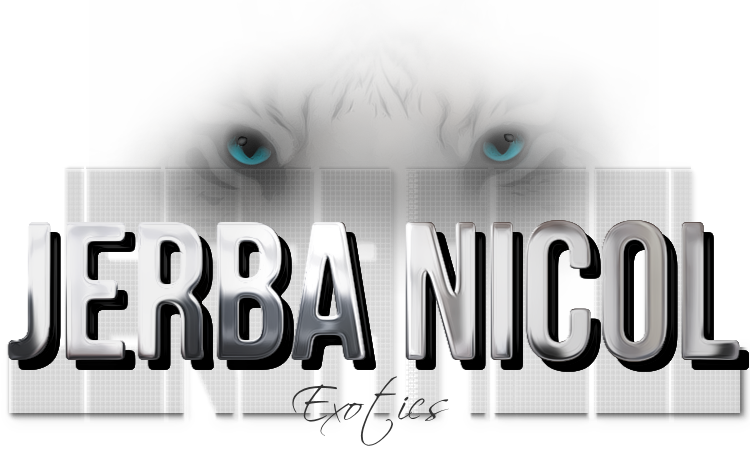 Jerba Nicol's new designed website is online! We couldn’t be more excited to show you our new site. For the last 6 months we have been working like crazy to pull all of this together. After a short break of breeding and showing, and 12 years of using the 'old website', we found it now was time to come back with something new... something better. We’ve completely rethought the structure, the design and how to display the photo's of the site. Of course there is still some work to be done and many more photo's to be added, especially to the galleries, but... as we continue to grow our site even more, we’ve attempted to make this new site as flexible and perfect as possible for as it is now. We however realize, with anything new, there still can and will be areas to improve. Please let us know what you think about the new design, and contact us if you find anyhing wrong so we can continue to improve our site and its information. We are looking forward to hear from you! Stay tuned! Our first 2013 newborn babies are born! We welcome four little Exotic babies to our Family: "Jerba Nicol's Armin van Buuren, Jerba Nicol's A State-of-Trance, Jerba Nicol's Armada & Jerba Nicol's Armind Angel are such a joy". Proud dad: " GC Maradan Mecachis of Jerba Nicol" and proud mom: "Jerba Nicol's P.Y.T." We are proud to announce that Mecachis GRANDED in fine style at his very FIRST show at 4 years & 8 months of age. He is our first ONE SHOW GRAND! Words are inadequate to express my gratitude to the team of the DPC for a great show and to the judges who have used him in their finals.